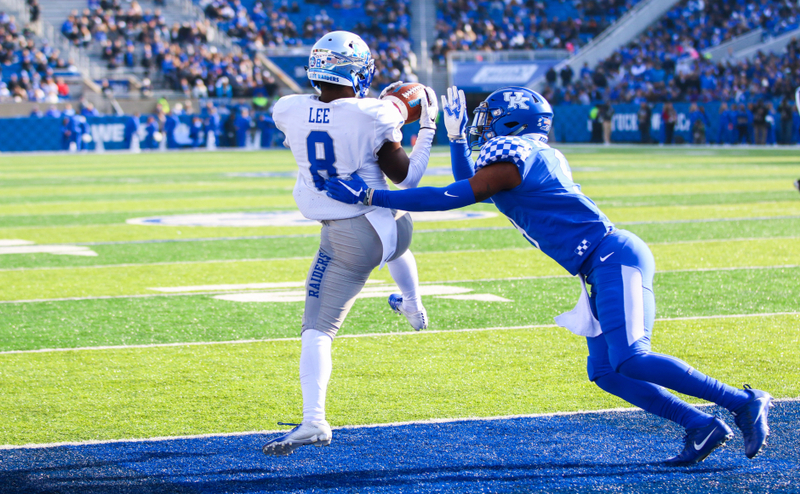 It was an uneasy kickoff in Floyd Stadium ahead of the Blue Raiders regular-season finale versus the University of Alabama at Birmingham on Saturday. 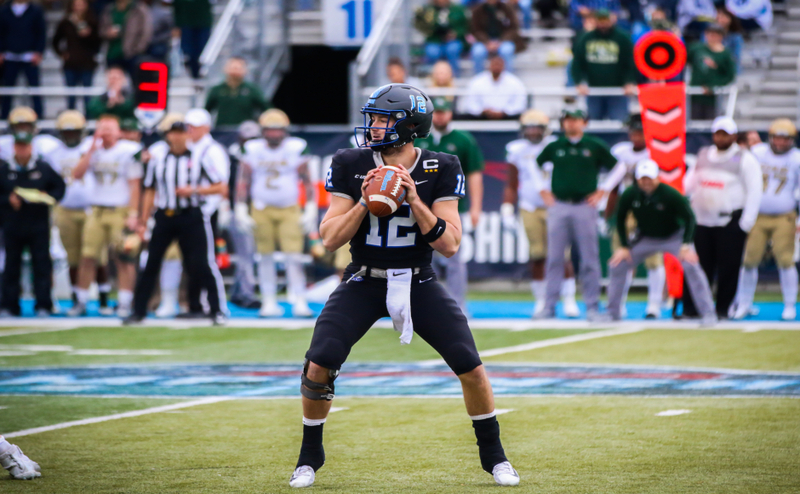 The team needed a Florida International loss to Marshall in order to win the C-USA East division title. Otherwise, the game meant nothing. 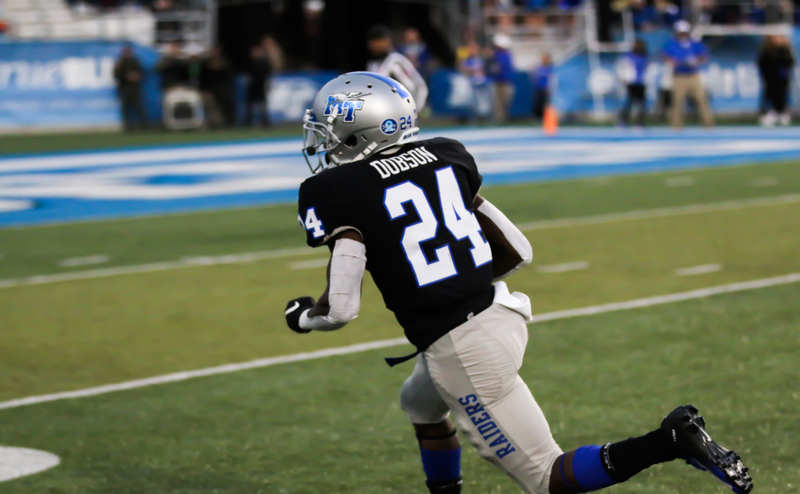 The Blue Raiders received the help they needed via an FIU loss and a whole lot more. It was a perfect day as MTSU ran riot over the Blazers 27-3. UAB struck first with its best drive of the day to make a chip-shot field goal at 3-0, but it was all Middle Tennessee from then on. The Blue Raiders outgained and outscored the Blazers with the final yardage 394-89 in favor of MTSU. The output is the lowest of the season from UAB as well as their worst scoring performance since being shutout by Florida in 2011. The loss also snaps UAB’s 11-game C-USA conference winning streak, the second long streak busted by the Blue Raiders in 2018 following the victory over Florida Atlantic University earlier in the season. With the win, MTSU finished a perfect 5-0 record at home in the regular season for the first time since 2001. From dramatic wins over FAU to a big rivalry win against WKU, without its flawless record at home, the Blue Raiders wouldn’t have come close to the success accomplished this season. MTSU will attempt to make it 6-0 when hosting UAB again next week for the C-USA Championship. 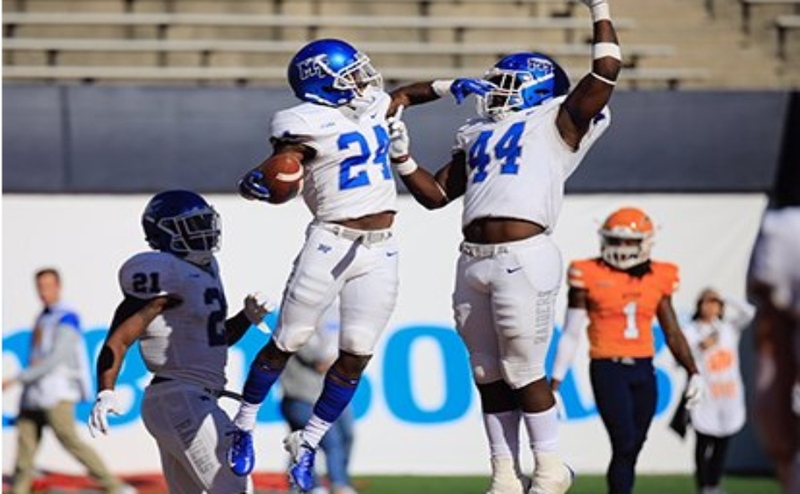 MTSU had its best defensive performance of the season and perhaps ever under Rick Stockstill with 89 yards of offense allowed, seven sacks and eight tackles for loss. The seven sacks are a season-high for the Blue Raiders. UAB quarterback AJ Erdely was lifted from the game after an interception in the third quarter likely due to form and his recovery from a prior injury that sidelined him earlier in the year. On the ground game, UAB finished with negative rushing yards (47 yards when removing sack yardage) after a strong start running the ball on the first drive. With FIU’s loss and the win against UAB, it will be a total rematch for the C-USA Championship Game on Dec. 1 inside Floyd Stadium. 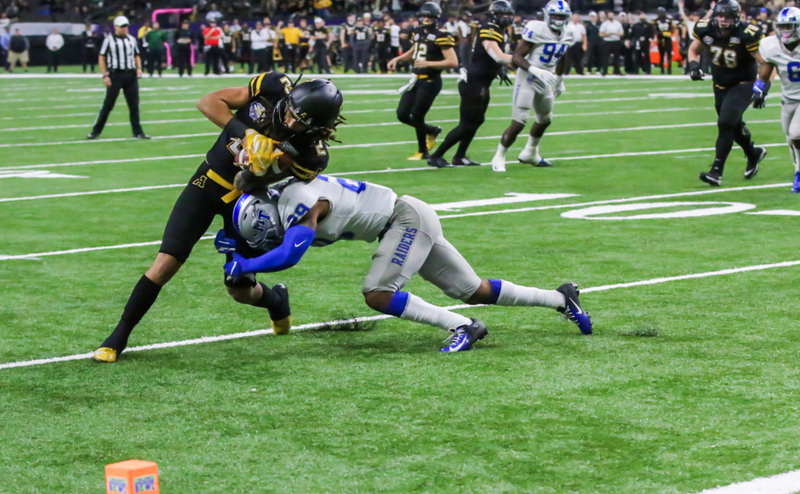 The Blue Raiders will hope to make it a complete replica of the first round, and Bill Clark and UAB will try to prove how hard it is to beat a good team twice. MTSU remained undefeated at home all-time vs UAB, improving to 3-0 with the win on the day. For the past couple of years, MTSU football has been good. This year’s senior class will have gone to a bowl game all four years. But this year, it’s different. MTSU only lost one conference game and put up a good fight against a top-25 team, Kentucky. It’s exciting for the team and the entire MTSU/Murfreesboro community that the team is in the C-USA Conference Championship. It makes it even better that it’ll be right here in Murfreesboro. MTSU played a pretty perfect game last Saturday against UAB. With seven sacks and 394 yards total, the Blue Raiders made it hard for the Blazers to catch up. UAB also only had 3 points on the board. Now, they face the tough task of trying to beat the same team twice-exactly one week later. The Blue Raiders can hopefully use home field advantage as they have been perfect at home. 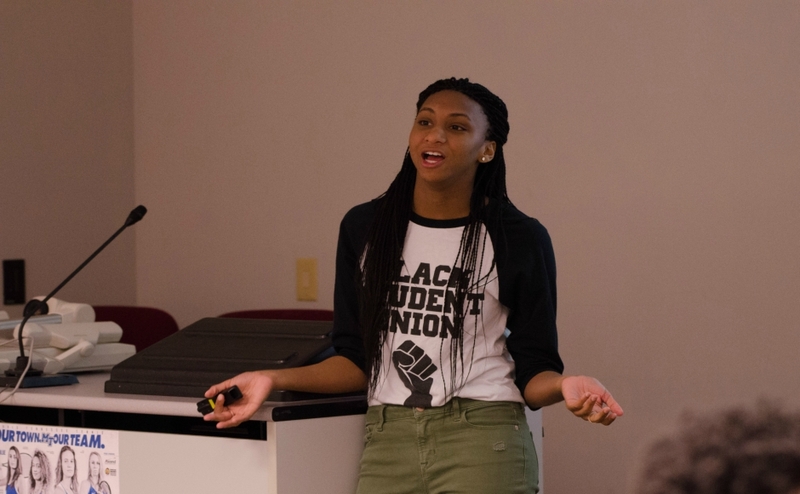 While they don’t always have the largest crowd, they use their loyal fans as an advantage. The team always deserves a full Floyd stadium but especially this week, when a Conference Championship is on the line. The university has done all they can to get fans into the stadium, from giving the first 1,000 students free tickets and advertising tailgates. It’d be nice if there was a large student turnout because the football team builds off the crowd energy. As finals approach, I think this would be a good way for students to take a study break and watch their football team put on a show.